Is it Time You Considered Investing in A/C? According to Harvard Health, high temperatures can wreak havoc on our bodies. We need to work extra hard to release all of the heat building up inside of us. This means pumping more blood, faster. This can be uncomfortable for healthy people, but those with cardiovascular issues can downright suffer through the hot summer months. Depending on where you live in or around Edmonton, not everyone is comfortable leaving their homes open during the night. This way, your security is being compromised while you sleep. Air conditioning can help eradicate the need to open windows and doors to encourage air flow. Heat isn’t just hard on us, it’s hard on our furniture and appliances. In confined spaces, heat breeds humidity. This moisture can actually shorten the lifespan of objects you’ve worked hard to bring into your home. Warped wood and moist leather aren’t just unsightly, but may effect your ability to use the affected surfaces. Summer insomnia happens, especially in the absence of an air conditioner. Our bodies are designed to sleep in cooler temperatures, so the hot Edmonton heat can mess with our natural rhythm. Not getting enough sleep on a continual basis can lead to some negative health effects. Primary among those are moodiness and inability to focus. If any of this sounds like you, it’s time to call the experts at Nor-Can Heating and Air at 780-934-4328. 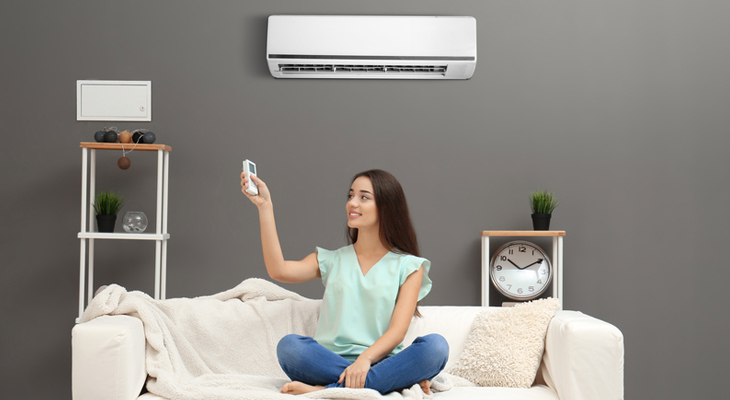 Don’t suffer the heat any longer, let’s get you set up with an air conditioner today!